Home » Articles » SOLIDWORKS Visualize is here – Get 15 days free trial! SOLIDWORKS® Visualization products provide a suite of tools that combine industry-leading photorealistic rendering capabilities with design-oriented features and workflows that enable easy and fast creation of visual content for designers, engineers, marketing, and other content creators. If you got a SOLIDWORKS Premium or Professional license, you have access to an industry-leading rendering tool, SOLIDWORKS Visualization Standard. For those of you that use SOLIDWORKS Standard there is a 15 days Trial version. Follow the instructions below to get started. 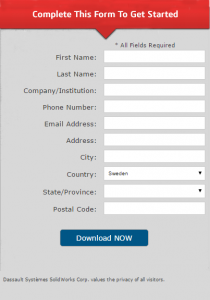 Go to Visualize download page and fill out the form to start the download. 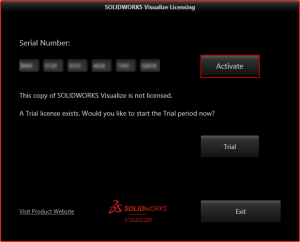 After installation of SOLIDWORKS Visualize use your regular SOLIDWORKS serial number to activate the software. 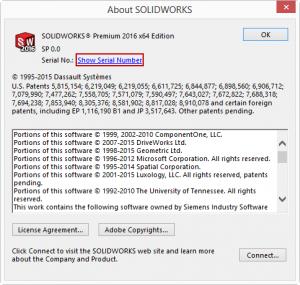 Copy and paste the serial number into SOLIDWORKS Visualization. If you are a SOLIDWORKS Standard user or currently not using SOLIDWORKS, choose the Trial option. Create photo-quality content with the image and video output options in SOLIDWORKS Visualize.